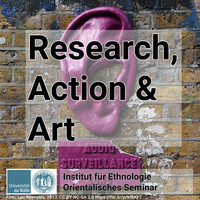 Podcast series "Research, Action & Art"
Documentary short by Michaela Pelican and Nikolaus Greil, 5:31 min. 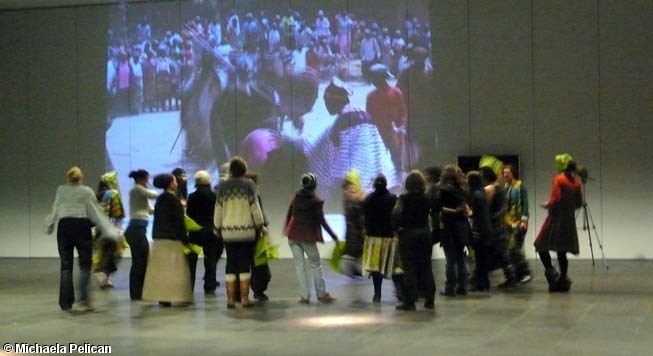 'Performing Ethnography': Cameroonian masked performance enacted by anthropology students of the University of Cologne as part of the course on methods of visual and theatre anthropology, 2013. I have supervised students on Bachelor, Master and PhD level whose research centred on various subjects, including developmental projects of the Mission 21 in Cameroon, religious conversion and social integration in the US, livestock mobility in Ethiopia, Hip Hop in Cameroon, Muslim female migration in Cameroon, the international migration of Hausa in Cameroon, Cameroonian migration to the United Arab Emirates, return migration to Nigeria, the Eritrean diaspora in Switzerland, etc.